Sforzini labored over Daisy, his operatic prequel to The Great Gatsby, for more than a year. It was commissioned by a man he trusted. Then, one day, the checks stopped coming. The opera stopped cold. Thousands of opera fans are attending the St. Petersburg Opera for performances this weekend. They are watching Sforzini conduct Mozart, unaware of this albatross in mothballs, tucked into files on an old laptop. It has a song about the sweetness of love and life in it. At 46, he is a highly visible figure in the Tampa Bay area music scene. He is a co-founder of the St. Petersburg Opera Company, now in its 10th season, and conductor of the Tampa Bay Symphony. Sforzini carries an air of the carefree. He is a natural ham who enjoys open rehearsals and lectures, who has worn Bedazzled shirts on stage. The son of an aerospace engineer who taught at Auburn University, Sforzini grew up in Auburn, Ala. He played the piano, then the bassoon. Performance, especially at the highest level, was his life. 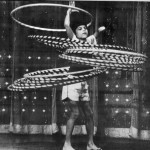 At 10, he became a World Hula Hoop champion, besting 16-year-olds. Sforzini was also a state diving champion. For two years in a row, he won gold and silver medals in separate events, yet was disappointed. He wanted two golds in the same year. He joined the Florida Orchestra in 1992. He was the orchestra’s principal bassoonist for 15 years. He composed music and served as the conductor of the Crested Butte Mountain Theater in Colorado. Then he met Doyle McClendon. Doyle McClendon was one of the Tampa Bay area’s largest arts donors. His contributions helped fund the Sarasota Opera and the Museum of Fine Arts St. Petersburg, among others. The former Air Force captain had owned a successful software company in Washington, D.C. McClendon portrayed himself as a Renaissance man, and implied he had been in the CIA. No one knows for sure. McClendon could be assertive, confident, caustic and blunt. Employees respected and feared him, said Mary Alice McClendon, his ex-wife. In 2007, he sold the McClendon Corp., which offered top-secret technical assistance to clients like the CIA and National Security Agency, for $66 million. That same year, McClendon and Mary Alice underwrote the Sarasota Opera’s production of Madama Butterfly and brought the Cleveland Orchestra to the Mahaffey Theater. Most of the time, they gave anonymously. Then he met Mark Sforzini. The fascination with Gatsby, the character, was all McClendon. He left it up to Sforzini to work out the plot, relishing a behind-the-scenes role. He sensed in Sforzini a restless talent that still needed room to grow. And Sforzini wanted the challenge. It seemed like a dream arrangement. McClendon would bankroll a new opera company in St. Petersburg to the tune of $250,000. Sforzini, as artistic director, would be free to conduct and create. Sforzini left the orchestra after 15 years in 2007 to start the St. Petersburg Opera Company and work on Daisy with McClendon. “We were happy to help him, to guide him if needed,” Mary Alice said. When it came to the daily operations of the opera, however, McClendon did more than watch from a balcony. He dictated which operas would be performed, and insisted on being the company’s only donor to keep full control, said Nancy Preis, the opera’s chief financial officer. The company practiced scenes from Daisy in semi-public performances at The Studio@620. An aura of excitement swept through the budding company as Daisy took shape. At the same time, the relationship that had made it all possible was showing signs of stress. Originally swept away by McClendon’s generosity, Sforzini had to face a more complicated relationship with his benefactor. Once, Sforzini said, McClendon spoke up during a workshop. Word also spread that Mary Alice was not eager to see Sforzini’s opera performed publicly, that they preferred to give anonymously. Sforzini said there may be another reason. The McClendon marriage was heading for divorce. McClendon’s funds started drying up that same year — not just to the company, but the other organizations he helped support. The Sarasota Opera had to shorten its season after McClendon failed to follow through on a multimillion dollar pledge. He promised more help coming to the St. Petersburg Opera. He is not sure what happened to McClendon’s money. The housing market had crashed and McClendon’s marriage to Mary Alice ended. McClendon also seemed to be experiencing dementia, his ex-wife said. He withdrew his support altogether and resigned from the opera’s board. Opera leaders scrambled to make up for the loss. They increased the number of shows to sell more tickets. They worked the phones much harder to make back $25 to $5,000 at a time. There was no time left to work on the Gatsby opera. It was hard for Sforzini and friends who had been cheering him to take the opera’s back-burner status in stride, Preis said. “It takes the wind out of your sails,” she said. Sforzini put the opera away, and hasn’t talked about it very much. How do you face a disappointment like that? When asked, Sforzini paused for 10, maybe 20 seconds. People give money to have their names on buildings, sometimes when they are alive and sometimes as legacy gifts after death. It’s how Avery Fisher Hall in Lincoln Center last year became David Geffen Hall. Most corporations and nonprofits log pledges as an account receivable — that is, cash owed to the organization. On the balance sheet they are recorded as an asset, the same column that logs cash received. But things happen. A business goes bankrupt. The economy goes into freefall. A family finds a way not to honor the donor’s bequest. “The woods are full of broken promises and defrocked or de-recognized donors,” said Preis. Depending on the agreement, the debt may or may not be legally enforceable. But even when it is, organizations are loath to play hardball and potentially scare off other potential donors. “Maybe someone’s business has decreased, although the pressures stayed the same,” said Judy Lisi, the president and chief executive officer of the David A. Straz Jr. Center for the Performing Arts in Tampa. In such cases, the Straz might extend the time over which the pledge can be paid off. Lisi, who has raised more than $300 million for the Straz Center, has never seen a major donation shut down completely. When that happens, arts organizations are notoriously unprepared. The Sept. 11 terrorist attacks hurt the Metropolitan Opera, but so did an unfulfilled pledge from its largest donor. More than a half dozen local performing arts organizations contacted for this story said they receive anywhere from 30 percent to 50 percent of their income from donations. But of those, only Ruth Eckerd Hall could volunteer an estimate for possible unpaid pledges (about 10 percent). McClendon moved to Ocala in 2010. His health weakened. In July 2010, for reasons investigators could not determine, McClendon, 73, drove his motorized scooter into traffic on NW U.S. 27. He was struck and killed. Despite everything, Sforzini said he has no regrets and that he is still “98 percent positive” on McClendon. “I guess I ultimately have to thank him for the direction my life took,” Sforzini said. He created a special category in the program for cumulative gifts over $250,000. There is only one name other than Preis: Doyle McClendon. The St. Petersburg Opera is doing well. Sforzini lives with Michael Roberts, his partner of 21 years, and their 13-year-old Labrador retriever, Lucy. He still creates. 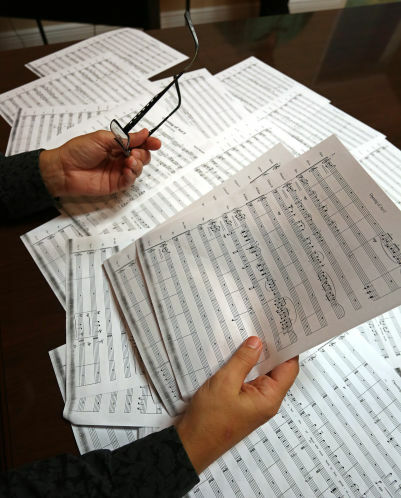 The Tampa Bay Symphony is performing two of his compositions this month. Meanwhile, the opera he left behind might not be over. Talking about it seemed to energize him, like one of those gold medals he just barely missed. At home in South Tampa, Sforzini agreed to demonstrate his childhood Hula Hoop technique in the yard. He removed the Hula Hoops from the back of his car, as if always ready for requests such as this. In the front yard, he dropped one hoop around his knees and quickly got it going. Then came a second hoop around his hips. His slim frame writhing like a blacksnake, Sforzini activated a third hoop and a fourth, each moving in a different direction, spinning, beating on. Contact Andrew Meacham at ameacham@tampabay.com or (727) 892-2248. Follow @torch437.